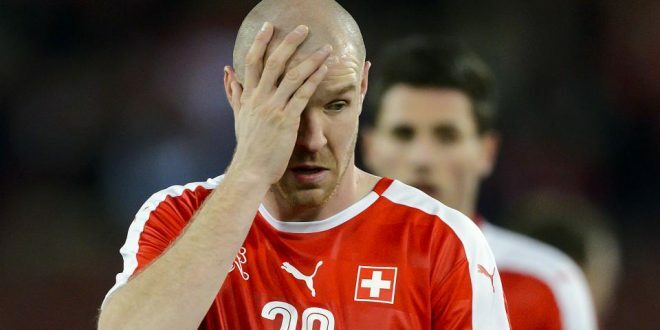 Philippe Senderos has been left out of the final Switzerland squad for Euro 2016. The former Arsenal and AC Milan centre-back, who has spent much of the past season back in his homeland with Grasshopper Zurich, delivered an unconvincing display during the 2-1 friendly defeat to Belgium. Head coach Vladimir Petkovic has opted to leave the 31-year-old out of his final squad to take to France, despite concerns over the centre-back positions, with Norwich City‘s Timm Klose out injured and Johan Djourou having been battling an illness. Udinese full-back Silvan Widmer and Basel midfielder Luca Zuffi, who enjoyed a strong campaign for the Swiss champions, have also been cut from the squad. “Senderos is in a difficult phase of his career. He has lost some confidence in his abilities,” said Petkovic following the announcement. “It was nothing against Zuffi. He is a little tired. I think it would have been difficult for him to reach form in time. “Widmer has shown strong performances for his club but there are two players there who offer me more promise. Switzerland face Moldova in a final warm-up friendly on Friday. 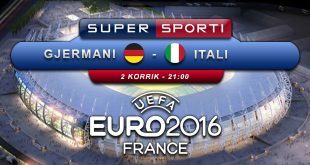 They take on Albania, Romania and the host nation in Group A of the finals. 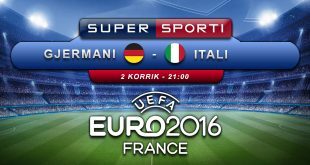 Video: Euro 2016 – Bukuroshet gjermane inspirojnë lojtarët e kombetarës së tyre.